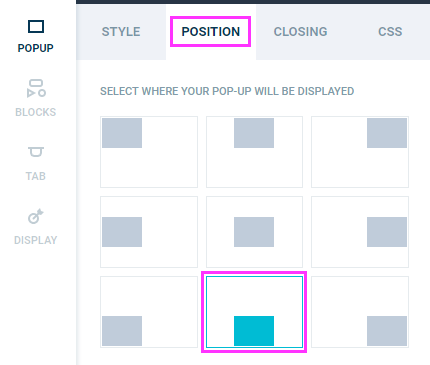 Why should you design mobile-only popups? Here's how to take on the challenge! 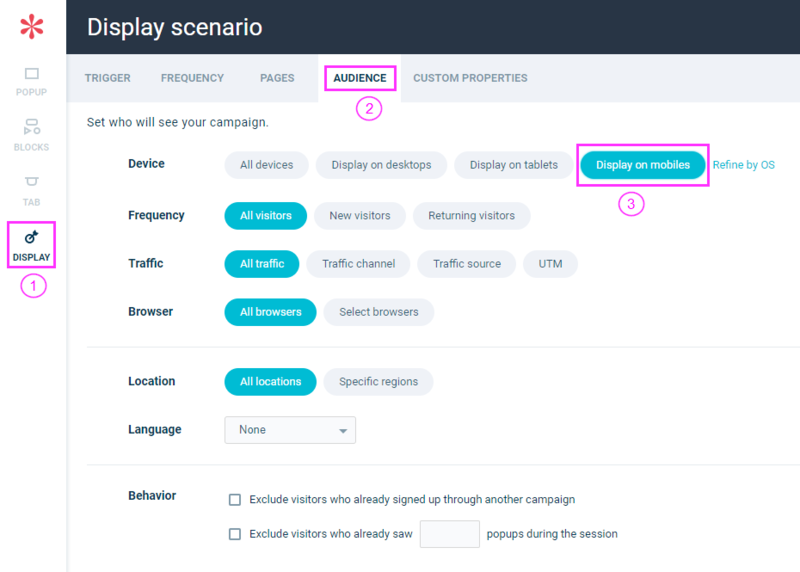 In the template gallery (the first screen that appears after you click "Create a New Campaign"), click on the mobile filter available in the upper-right corner of your screen. The TAB provides an additional option to display non-invasive call to actions on mobile devices. You can read more about the TAB here. In the left menu, click "Display" and "Audience". Next to Device, select "Display on mobiles"
Back in the editor, we now have to adjust the size of the popup. We recommend 320 (width) x 160 (height) to make sure it displays on most mobile phones. To adjust the size, click "Popup" in the left menu, Style and in the right menu, select "Size"
We recommend removing images first. They often take a lot of space and can have a big impact on the loading time for your mobile users. Then adapt the size of your texts and call to action and try to remove any mention which is not 100% necessary. While displaying a popup in the middle of the screen is OK on desktop, the standard on mobile is to display it at the bottom of the screen. Last but not least, make sure your popup is easy to close on a mobile device. Don't hesitate to increase the size of the closing X to make it easier to tap.